While I try my hardest to live an ‘active’ lifestyle, I am by no means perfect. When I was a child I dabbled in gymnastics, like most little girls do. Then in elementary school they forced us to take state fitness tests in P.E. (which were never fun and borderline humiliating) and of course there were those awkward days spent in middle school gym class. By the time I was in high school, I was done with it all and decided to take P.E. by correspondence. Yes, P.E. via the mail! College was where I started to finally enjoy working out and found my own groove. Although I was religious about working out in my college years and a few years shortly thereafter, the past several years have been hit or miss. Exercising regularly and eating super healthy for several months and then getting busy with life and slacking. But since last spring I have made a very conscious effort to make healthy choices, set some health goals, and over all take care myself! It definitely has not been easy. Life often still gets in the way, and I’ll be first to admit that once I get busy or stressed, my eating habits, well can become horrible, and exercise is the very first thing to go. This is very frustrating because most days I find walking or biking therapeutic and a stress reliever. But I guess when added to a never ending to do list, then I feel that forced feeling (like from my childhood) to get it done and don’t want to do it. Some things that have helped me stay on track are taking walks and bike rides with friends and family, cute exercise clothes (LOL!) and the Walgreens phone app with the healthy choices feature. The Walgreens app is a great way to access all the services the store offers, especially the Walgreens Balance Rewards program. The Balance Rewards program lets you earn points, from various activities and purchases, that you can then use to save money on other in store purchases. Since I am always running in Walgreens for one thing or another this is huge! The Balance Rewards for healthy choices feature within the Walgreens app is where you can set health and wellness goals, track your progress and get rewarded for your hard work. While feeling great and being healthy is, of course, the best reward, a few other ‘perks’ don’t hurt! : ) With the app you can sync up other popular fitness apps and devices, like FitBit, iHealth, Jawbone, MyFitnessPal, RunKeeper, and MapMyFitness, to help you more easily track your hard work. Then for every mile you walk/run and every pound you track, as well as other health and wellness goals and activities, you get points added to your Walgreens Balance Rewards account. While the app and the ability to sync to other fitness tracking devices is super convenient, you can also log your activity manually on the app or set up an account online! Now I have even more reasons to get active and reach my health goals! 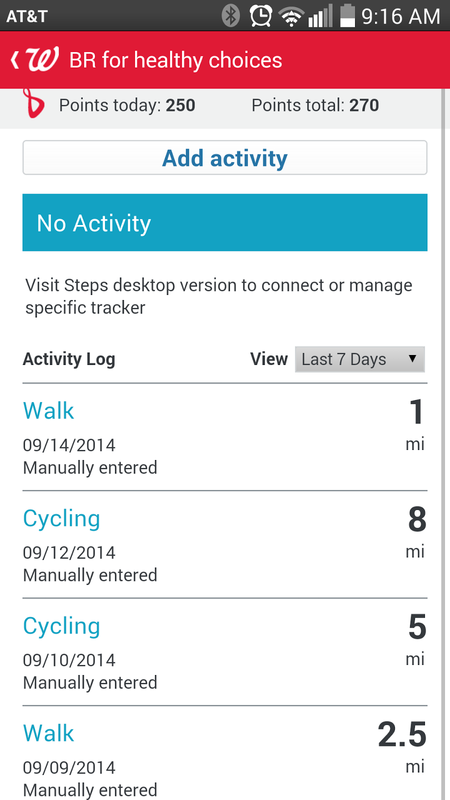 Biking has been very helpful in me staying active over the past six or so months. While I rode bikes as a child and adolescent, I had not picked up a bike since my childhood until earlier this year! While it was painstakingly tough at the beginning (seriously I thought it would be so easy and almost passed out the first day I tried to go on a ‘real’ ride! ), I have come to enjoy it! 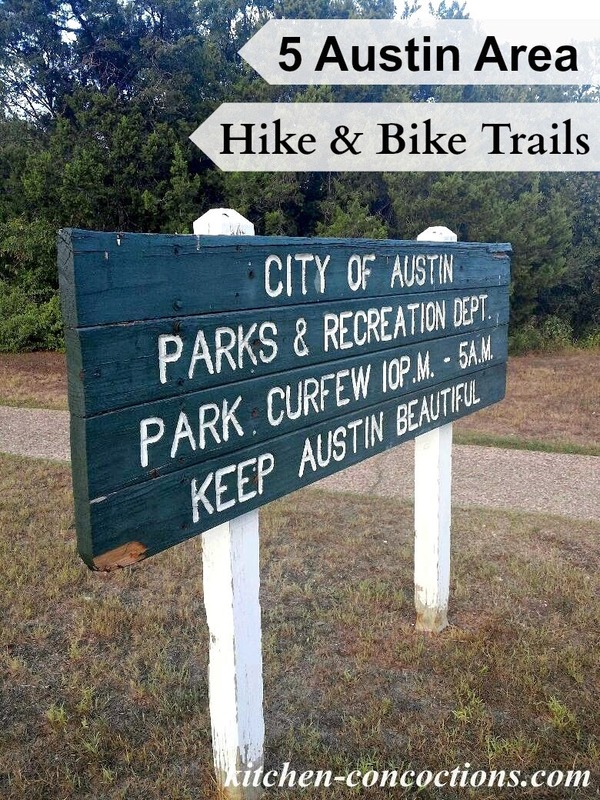 Below are some of my favorite bike and hike (which is something I will ALWAYS love… walking/hiking) in and around Austin, Texas. Austin is such an extremely fit city and I feel like such an armature giving my trail recommendations, so take them as that, armature suggestions. Right now, I still consider myself a beginner biker and these are just my favorite places to let the wind blow through my hair and breathe in some fresh air. Since Austin has so many beautiful hike and bike trails hopefully I can add more to this list in the future! There are some really pretty spots along this trail! It is one straight trail, 6.75 miles from one end to the other. This makes this trail great for any skill level. Easily adjust the length of your ride/run for a total possible of 13.5 miles (one way and back again). I like this trail for the large amount of shade it has a long the way. I also like that the scenery changes with the trail. While most of the trail is wooded, the trail goes past play grounds, swimming pools, soccer fields, babbling brooks and homes. Another plus, is while this trail can get busy, depending on the time of day or day of the week, I have never found it overly crowded. 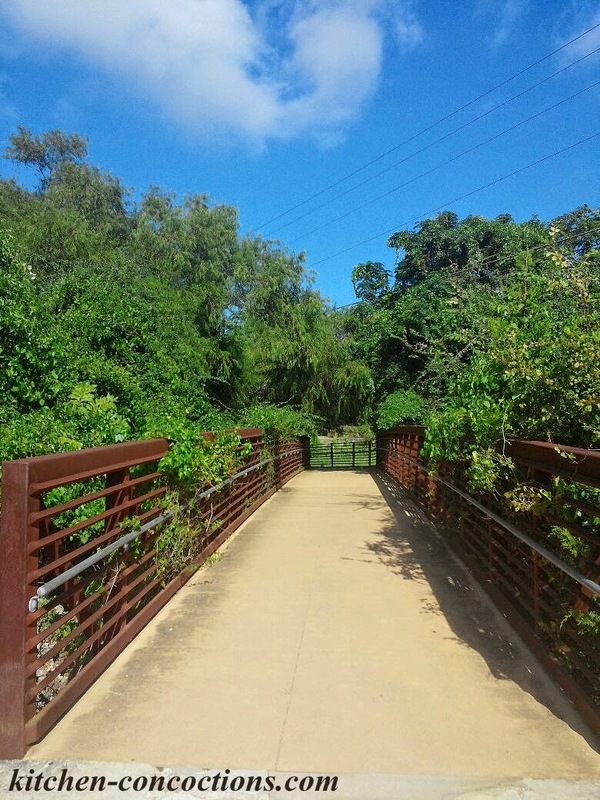 I highly recommend this trail for any north Austin, Round Rock, Cedar Park or Georgetown residents. Location: Going north on IH-35 in Round Rock, exit W Palm Valley Blvd/Sam Bass Road. Head west on W Palm Valley Blvd/Sam Bass Road. Turn right onto Harry Man Road. The trail head starts about a mile down Harry Man Road. There are several trail parking lots with trail access all along Harry Man Road. 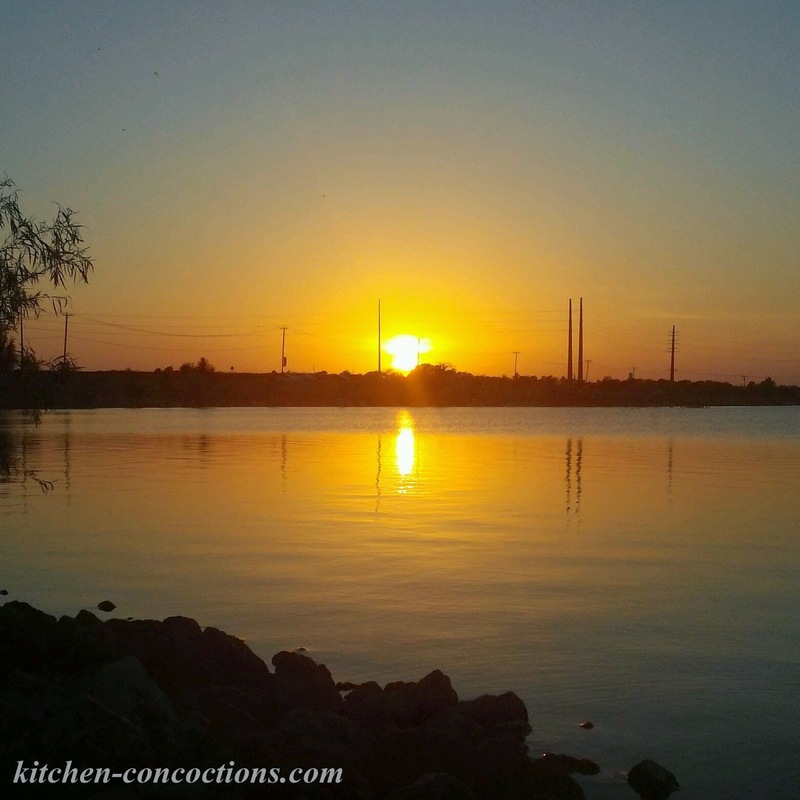 Lake Pflugerville is a great place to start if you are a beginner biker/runner. It is only 3 miles around the entire lake and has pretty even terrain. While I see people of all abilities running, walking and biking this trail; if you are a very experienced athlete you may find it boring (although, I do see people running sprints up and down the east side of the lake, where there is a steep hill, for added exercise). I like coming here for late evening or early morning walks (since there is not any shade), when I don’t have time or feel up to a long walk or bike ride. It can get a bit crowded at times, with people not only jogging, but enjoying the lake too, so keep that in mind. Location: Going north on IH-35, turn right onto Greenlawn Boulevard (before Louis Henna Boulevard). Turn right onto Pflugerville Parkway. The lake is approximately 6.5 miles down Pflugerville Parkway at the intersection of Weiss Lane and Pflugerville Parkway. This is probably my favorite trail! I love all the different scenery, from playgrounds to natural waterfalls, to wooded forests and streams! The trail is long, if you do the entire main trail (9+ miles), but it does not feel that long to me since the scenery is constantly changing and there is lots of shade. Scenery and shade is very important to me to help me stay motivated and keep going! I also like that while parts of this trail can get crowded, there are other parts that are completely secluded, which makes for some nice peaceful riding/jogging. This park is very clean and maintained and the park rangers/attendants are quite possibly the nicest, most helpful people ever! While it is a bit of a drive, this trail, at least in my book, completely worth it! Location (to Blue Hole Park): Going north on IH-35, take exit 261. Turn right onto State Rte 29 E/W University Ave. Turn left on Scenic Drive and the park is approximately .5 miles down. Parking: There is plenty of parking scattered around this trail, but it can be hard to find. My recommendation is to park near Blue Hole Park, which is near El Monumento or at the main park, San Gabriel Park. 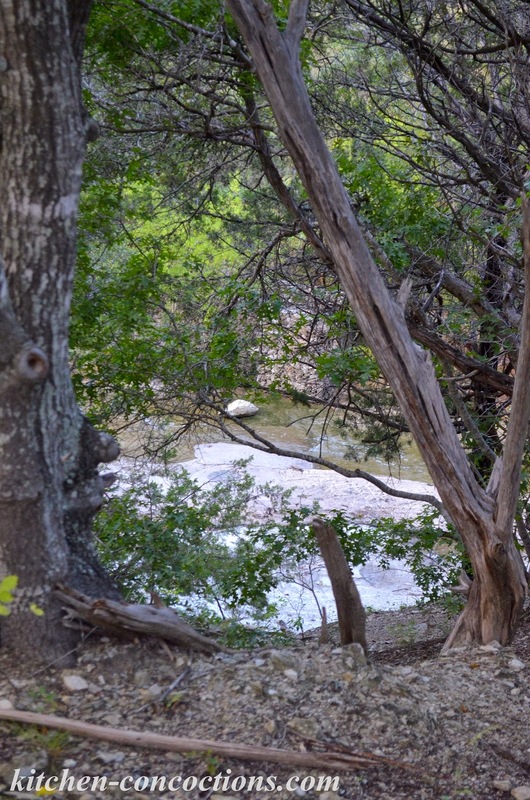 This is probably THE most popular hike and bike trail in Austin! It is smack dab in the middle of downtown and is always, and I mean always, scattered with people. While the views are pretty, and the trail can be long (good if you want/need it to be), the crowds at this trail are my one complaint. Since we like to bike, navigating these crowded trails can be a bit challenging. The good part is if you can get to the east side of the trail, you will find less and less people. 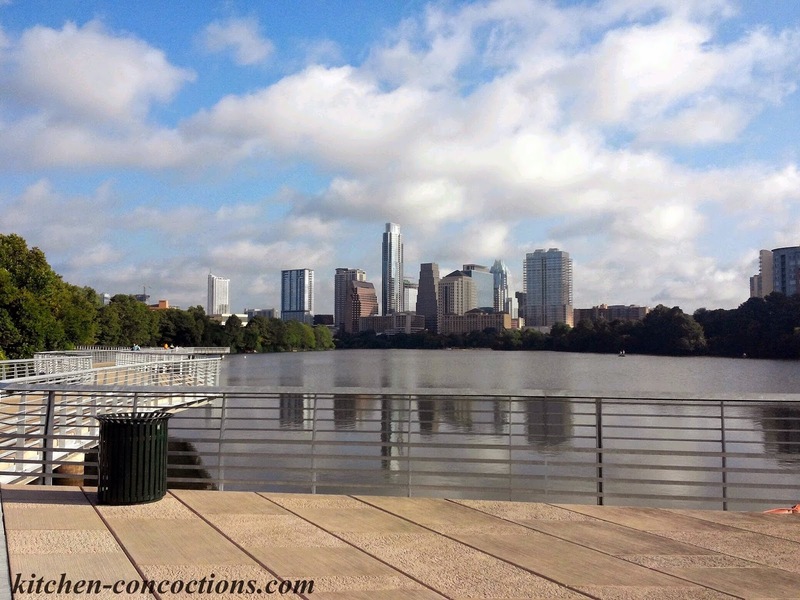 For someone that needs variety and a change of scenery, you know to keep me motivated, this trail has great views of the Austin skyline, weaves through eclectic Austin neighborhoods, and is a breath of fresh air in an ever growing city. Oh, and the new boardwalk is definitely great for checking out the view! Location: You can access this trail in several places. Going south on Mopac, exit 5th Street/Cesar Chavez Street. Keep at the right in the fork, and follow signs for Cesar Chavez St. Parking for trails will be on the right. Parking: There is plenty of parking scattered around this trail, but it can be hard to find a spot due to crowds and various annual events. This is an unexpected little bit of fresh green right in the middle of north Austin. Many new comers to Austin drive by this massive park and trails daily without knowing it’s existence! However, this was the first park I discovered when I moved to Austin so many years ago and thus will always hold a special little place in my heart! 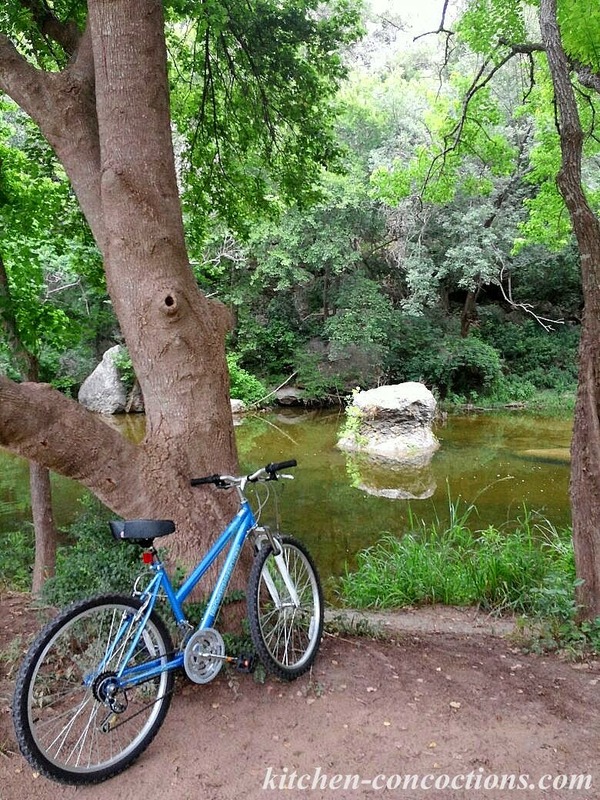 Walnut Creek Park, close to 300 acres (with more than 15 miles of trails), is sandwiched between I35 and Mopac in north Austin just south of Parmer Lane. I am more familiar with the smaller west side of the park and hope to more deeply explore all 15 miles of trail, via bike, soon. I like this park because if you live in north Austin it is easily accessible and is within walking distance of many apartments and neighborhoods. I also like this greenbelt because while there are definite paved trails, there are many ‘hidden’ paths that can lead you to peaceful wooded areas and streams all while being ‘in the city!’ Many people hike and bike these ‘off road’ trails which can be very intense but if you stick to the traditional trails, this park is fantastic for beginner joggers and bikers (you don’t have to do all 15 miles!). Location: The official address is 12138 N. Lamar Blvd., Austin, Texas 78753 but as I mentioned there is park and greenbelt access spanning from Lamar to Mopac (east to west) just south of Parmer Lane. Parking: Depending what part of the park/greenbelt you are trying to access, this can be challenging. If you live in the area, walking to the park is my suggestion, if not you might have to park on the street, if not parking near at the main park. Note: I have grouped water fountains and trash cans together since when walking/jogging I often have my dog with me and both of these (combined) are crucial with him in tow! Regarding skill level, I based this on length of the trail, the terrain, etc. This may vary on an individual basis based on ability. What are your favorite ways to stay fit? 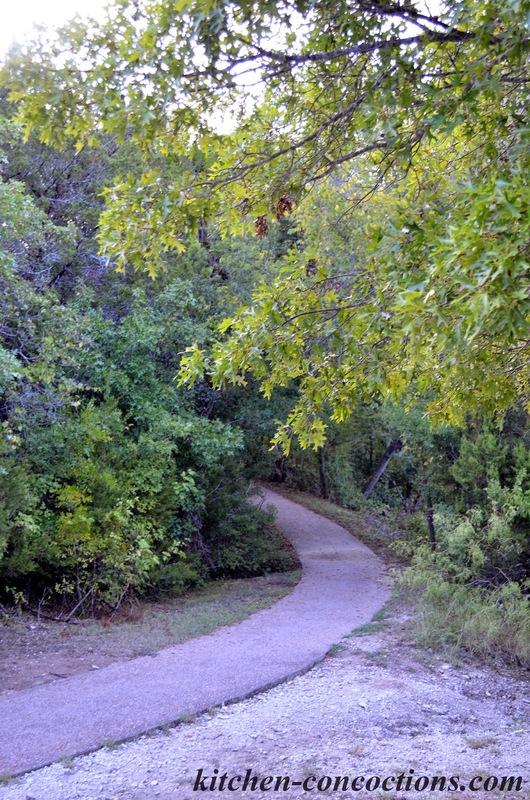 What are your favorite hike and bike trails in Austin or your own city?